Home > Blog > It’s Game Time! It’s been four years since the last Winter Olympics so it’s time to bust out the bobsleds, skis, ice skates, and other fun winter sports equipment. If you’re an Olympics fan, then you probably already know that last night Sochi, Russia kicked off the start of the XXII (22nd), 2014 Olympic Winter Games. 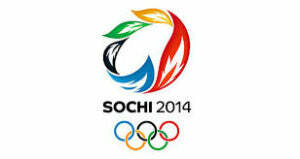 This year’s Winter Olympic Games will stretch from last night until the 23 of February. Ever since 1924, the Winter Olympics have been celebrated every four years. There was, however, a 12-year-long interruption as World War II, for obvious reasons, put a stop to international sports competitions from 1936 to 1948. The first Winter Olympics were incredibly successful. Held at Chamonix which is in the French Alps, spectators of the games were held in awe at the amazing skills displayed during the Ski Jump, Bobsled races, Ice Hockey, Curling, Speed Skating, and Figure Skating. In the first year, there were only these six sporting events as opposed to today’s 15. The Winter Games now include Snowboarding, Cross-Country Skiing, Nordic Combined (the combination of cross-country skiing and ski jumping), Freestyle Skiing, Biathlon (a combination of cross-country skiing and rifle shooting), Alpine Skiing (which is downhill skiing), Luge and Skeleton (a couple additional sledding sports), Short Track Speed Skating, as well as the original games. They didn’t call it the Winter Olympics back then. It was originally called the “International Winter Sports Week.” It wasn’t until 1928 that the International Olympic Committee (IOC) was formed and dubbed this highly successful winter sports week the Winter Olympic Games. Yes, quite a bit has changed over the years, but one thing that has remained all along is its own popularity and the fandom for the Olympics—winter and summer. While many countries show us amazing, gold-winning athletes, the United States is the only one to have earned the gold for each of the Games. Enjoy the Games this year! It’ll be another four years before they’re back!